OSWEGO, NY – Daylight savings time is back and that means that racing in the northeast is not very far away. Just two months from today, the Lighthouse Lanes SBS Series will open the 2018 Small Block Supermodified season at Evans Mills Speedway on Saturday, May 12. Following an impressive showing of 22 cars in the inaugural ‘Fall Brawl 50’ for the series at Evans Mills last season, Camden Proud, media director and co-promoter of the tour, is anticipating something similar when the May 12 program gets the green flag. Defending Oswego Speedway SBS champion Dave Cliff dominated last year’s Fall Brawl for his second career out of town checkered flag. For this year’s SBS lid lifter, which will open the season for the Oswego regulars two weeks before their Opener at the famed ‘Steel Palace,’ Cliff and many other familiar faces are expected to return. Drivers who were in the field last year at Evans Mills that intend to return to the track in exactly two months include Bruce with his No. 22 entry, Cliff, Brad Haynes, Jack Patrick, Dalton Doyle, Cameron Black, Steve Wood, Rob Pullen, Cameron Rowe, Jim Babcock, teammates Greg O’Connor and Tony Pisa, brothers Tim and Chris Proud, LaFave, and rookies Josh Sokolic and Tyler Henry. New competitors expected to be in competition include Jesse Bearup, who stepped out of the driver’s seat to allow crewman Murray Walts to wheel the family owned ride last September. Additionally, Missile Motorsports teammates Anthony Losurdo and Dan Kapuscinski are also expected at the ‘Mills’ this season, although it is unclear whether the duo will appear in May, or wait until the Fall Brawl set for Sunday, September 16. 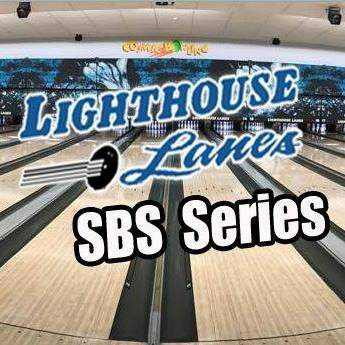 For more information on the Lighthouse Lanes SBS Series, including a brand new all-time stat page, you can visit the series online at LighthouseLaneSBSSeries.com. You can also FOLLOW on Twitter @LHLSBSupers or LIKE on Facebook at Facebook.com/LighthouseLanesSBS.